All of our fragrances were formulated based on safety assessments made by the Panel of Experts of the (RIFM) Research Institute for Fragrance Materials and are carefully reviewed by the IFRA (International Fragrance Association) Scientitic Committee. Our fragrances comply with RIFM standards. 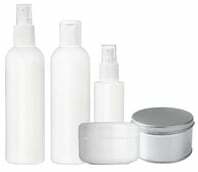 All of Natures Garden fragrance oils are packaged in phthalate-free, recylable, HDPE (resin code No.2) plastic bottles. 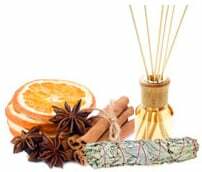 This is to confirm that the subject fragrance is composed of aroma chemicals, natural essential oils and other functional components in compliance with the most recent guidelines published by I.F.R.A . (International Fragrance Association); 44th amendment published on 08/07/09. The IFRA standards are based on safety assessments from RIFM. (Research Institute for Fragrance Materials). Vanilla White Color Stabilizer is a patent pending fragrance technology designed to be added to aqueous bases that have color stability problems resulting from vanillin and other aromatic ingredients which tend to oxidize and cause browning. For the first time, water based formulas can be stabilized by including a small amount of Vanilla White Color Stabilizer. Phthalate-Free. CA Prop 65 Reportable Ingredients: None. 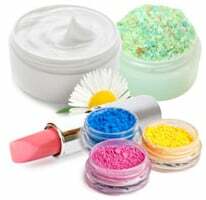 Applications of Vanilla White Color Stabilizer: Liquid soap bases, bar soap bases, glycerin soap bases, cold process soap, hot process soap, shampoos, conditioners, fabric softeners, detergents, air fresheners, and lotions; essentially any product that is not anhydrous. Physical Form: Water white liquid with slight haze. Odor: Vanillic character. Although this product is completely safe, it has a very strong odor out of the bottle. You will not notice this odor in finished products. Recommended use level: Added to the base at 0.3% by weight (this is the recommended usage rate of the manufacturer). 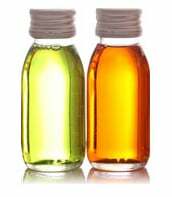 We have found that you may need to use more in your formulations; 2 parts fragrance oil to 1 part vanilla white color stabilizer. In the event that a fragrance contains very high levels of vanillin, we suggest using a ratio of 1 part fragrance oil to 1 part vanilla white color stabilizer. It is suggested that you add the vanilla white color stabilizer to the actual fragrance oil, then add that mixture to your formulation. Precautions: Store in a dry cool location. Do not combine with strong acids, nitrates or oxidizing agents. 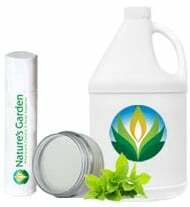 Natures Garden does not sell the same vanilla stabilizer that is found at other companies. Vanilla white was formulated by an actual chemist/perfumist, who has a patent pending on this product. Since Natures Garden has not tested this product in every vanilla-containing fragrance on the market, we do not claim that it will work with all fragrance oils. Testing will need to be done by the customer with all fragrances they choose. Gallons of this product are sold by volume, not weight. However, a gallon of this product contains approximately 10 pounds. Not for use in candle making. 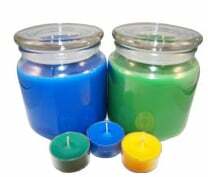 Our fragrance oils already contain anti-oxidative agents that prevent discoloration in candle making applications. Natures Garden is not responsible for the results of any finished products. Purchasing this can earn you up to 149.90 ($1.50) or more rewards points! So far I have only used this with one fo. I do not know the origin of the fo because it was a customers specific fragrance she uses in her business. I do know the fo turned chocolate brown without this stabilizer. I added this stabilizer to my fo at a 1:1 ratio and discounted the water by the amount of VWS I used. It been three weeks and so far no brown discoloration. The top of the soap is a strange orange color but otherwise I would say this worked! I was a bit skeptical whether it would work or not. I used it in Creamsicle CP soap and it worked perfectly! The smell OOB is horrible but once the soap is made, it has no smell at all, other than the fragrance oil. Great product! I absolutely love this product. It has been such a blessing to me in my soaping business. I've also used this with fragrances from other suppliers with AWESOME results. I've tried other color stabilizers and now I will ONLY use this at 2 to 1 fragrance to stabilizer ratio even with higher vanillin percentage. I always do a water discount equivalent to the amount of stabilizer. My bars turn out as perfect as they were when I imagined them during my creative process. I love, love, love this product. A DEFINITE MUST HAVE! This stabilizer works great for my Vanilla Bean Soap. I use a 1:2 stabilizer/fragrance oil ratio, and I'm left with a creamy white soap bar. For those who end up with a soft soap, I would suggest doing a water discount for the amount of stabilizer you are adding. I always discount my my water according to the weight of stabilizer I use and I've never had an issue with the soap being soft. I used this in both Cold Processed and Hot Processed Soap using NG Sandalwood Fragrance oil 1:1 ratio. The soap color remained neutral for 4 weeks and then darkened gradually over the next 6 weeks to a deep dark brown. When I cut the soap it was white (neutral) in the center, but it was unsightly and I was unable to use them as gifts. I tried it in lotion using NG Mrs. Claus Cookies. It turned brown. I do not recommend buying this product. If you do, buy a small amount, as it is costly especially considering it does not work. I tried this for the first time about 3 weeks ago and I'm very happy with the results. I used it with Vanilla Bean fragrance oil and I still have a very nice cream colored bar. I used it at 2:1 fragrance to vanilla stabilizer in cold processed soap. The scent out of the bottle, however, could cause an asthma attack. Resist the impulse to sniff it. Vanilla white stabilizer was perfect in my handmade soaps! I saw the reviews claimed that it caused softness, so I used my hardest cp soap recipe. However, I don't notice any change from my typical bar of this recipe other than reducing discoloration, perfect! Used in a 1:1 ratio as directed. Soaps are extremely soft one isn't setting up. Hoping I don't have to throw them both out.